Hello everyone. How many of you agree that smile is the best accessory we can ever wear? Then why not talk about a product which helps us enhancing our precious smile. Get the clue? 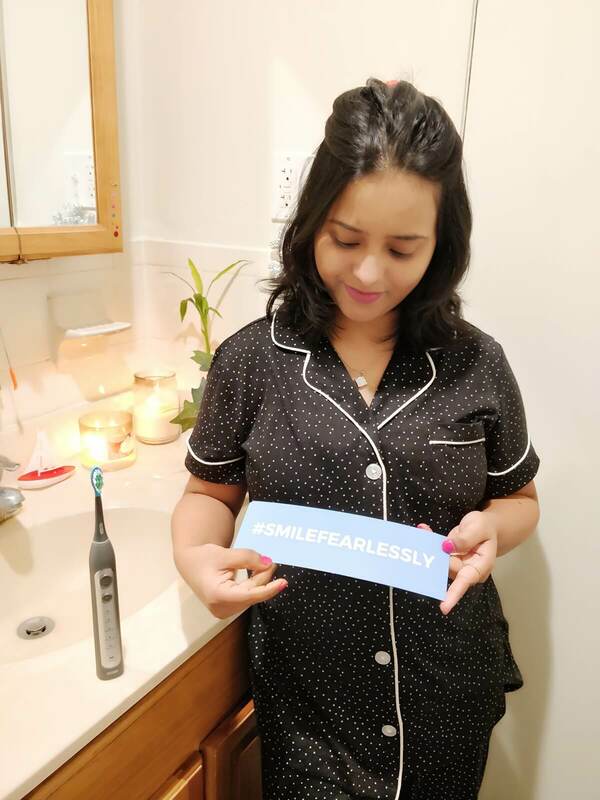 OK, so today in my blog, I am going to review an electric toothbrush called Caripro ultrasonic electric toothbrush made by a company named Smile Brilliant. So let me give you a brief overview of this company. Smile Brilliant started as a family-owned company that set out to provide professional quality teeth whitening within the comforts of home. Eventually, they have expanded beyond teeth whitening and developed the electric toothbrush. 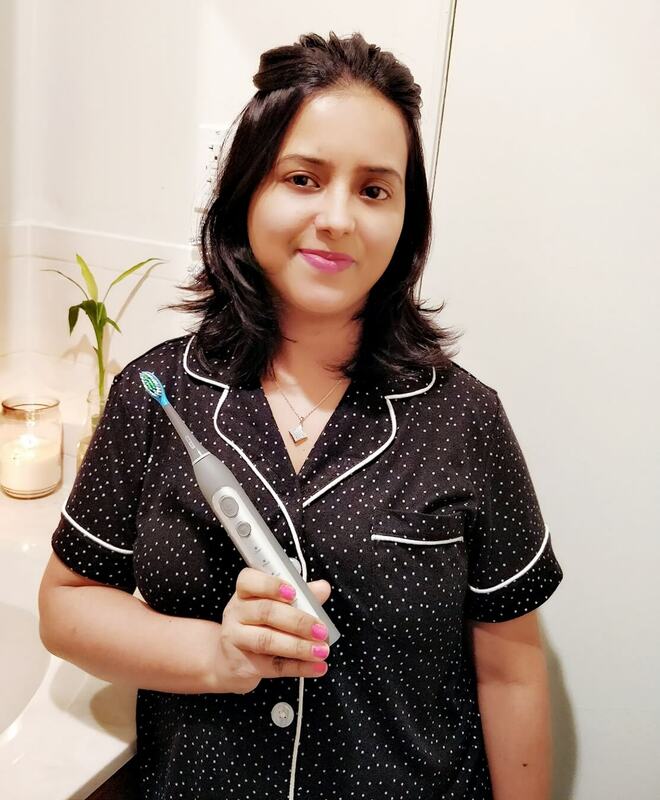 Today they are one of the known oral care companies around and strive to bring professional-grade care to everyone in the comfort of their own home, at an affordable cost. Let me confess something. I have never used an electric toothbrush in my life before. I am an old school in that matter. I have seen many in the drugstores and hypermarkets but somehow never bought one. 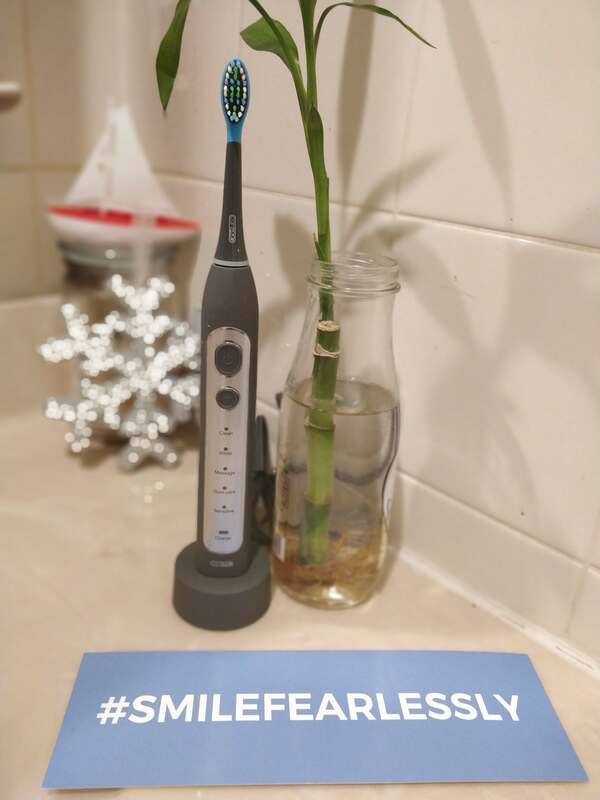 So, when Smile Brilliant approached me to try their electric toothbrush and provide an honest review of the product, I thought of giving it a shot. 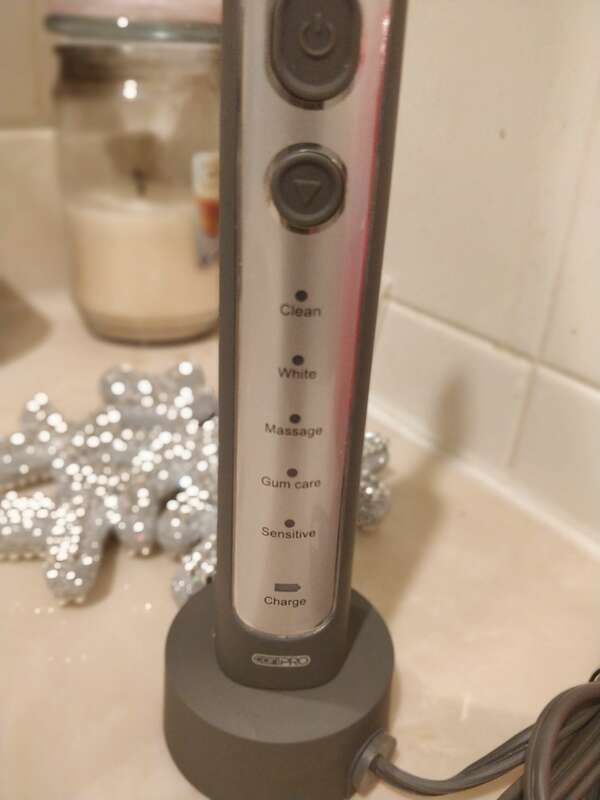 The Caripro ultrasonic electric toothbrush kit includes one toothbrush, two premium electric toothbrush heads with tongue scrapers, one wireless charging dock and an instruction manual. At first glance itself, I was quite impressed with the packaging of the product as well as the aesthetics of the toothbrush. It resembles a mini-missile. It sure looks much more efficient than a manual toothbrush. It has 5 brushing modes (clean, white, massage, gum care, sensitive). Each brushing mode is designed to operate for two minutes, with brief pauses between each 30-second burst. That brief pause tells you to move to a different quadrant of the mouth. Now a manual toothbrush can never be so effective. I am using it now for a couple of weeks and I can totally feel the difference. I am a tea lover and chocolates are my weakness. As a result, I always suffer from plaque building. After using this toothbrush, I have felt an improvement in that. After every brushing session, My mouth feels squeaky clean. √While changing the brushing positions you have to be really careful and stop the power and take it out from the mouth to avoid spitting all over. √It does not have a toothbrush case and would be really useful for people who travels a lot. It would be good to have a feature for this product. Technology is continuously improving. Have you ever thought of a toothbrush with 5 different modes before? No, right? Not me either. But I must tell you, after using the super-efficient toothbrush I am totally hooked to it. My little one also insisted me to get him a similar one, so got a battery operated one for him too. Brushing has never been so much fun before. Disclaimer: Even though this post was sponsored by Smile Brilliant, all the opinions shared in this post are mine. How much it cost in Indian rupees ? Is that also good for kids ? What is the life of brush ? 2. They recommend children over three should be able to use the toothbrush properly! 3. The toothbrush heads can be switched out between 4-6 months depending on your preference! The toothbrush itself should last you a very long time!! Love this!! I love their whitening kit and this electronic toothbrush looks awesome!